The cobbled roads of Paris-Roubaix provide a unique challenge and every year we see many bike and equipment changes aimed at surviving the punishment and providing a little more comfort for the pros. This year’s race is 257km in length and features 54.5km of pavé spread across 29 sectors, with the race starting in Compiègne and finishing in the iconic Roubaix velodrome. So what can you expect to see changed on the bikes for this weekend’s race? Let's dive in and take a closer look and what sets the bikes and equipment apart from every other pro race. We'll mostly see the regular race bikes swapped for endurance models, mainly to allow wider tyres to be used but the geometry is typically more relaxed and longer in the wheelbase, and often with frame features or carbon layup designed to take the sting out of the impacts. While at Flanders most riders opt for 25mm wide tyres, the cobbles of Paris-Roubaix are much more severe so we’ll see 27 to 30mm tyres used by most teams. Tyres this wide don’t fit in regular race bikes, though that's starting to change as the latest generation of some race bikes will take up to 28mm tyres. An obvious example is the Scott Foil ridden to Paris-Roubaix victory by Matt Hayman in 2016, the first time an aero race bike has achieved such a feat. But the latest Tarmac, Emonda and other top-end race bikes now taker wider tyres than before. An aero race bike is not the natural choice and does question whether a special bike is actually needed for the race following Hayman's success. Of course, fitness and a massive dose of luck played its part in this race, avoiding crashes, flat tyres and hoping the bike holds up long enough to reach the famous velodrome. That's the thing about this race, although the cobbles are an obvious threat, there is still some 200km of flat roads and the aerodynamic benefits of deep section wheels and a bike aren't to be sniffed at. It's juggling the demands of both that make this race such an interesting one from a tech point of view. Still, most riders will be on endurance bikes. Some brands have pushed their endurance bikes entirely over to disc brakes, like Giant with its Defy and Specialized with its Roubaix, which means we’ll probably see some old bikes you can't actually buy being dusted down for the race. A lot of these new endurance bikes, like the Giant Defy and Cannondale Synapse, have been designed entirely around disc brakes, for reasons to do with meeting consumer demand and the discs allowing wider tyres and optimised frame designs for improved comfort and stiffness. We've strong reasons to suspect that the Cannondale team will be using disc brakes, as this photo shared by Taylor Phinney on Instagram suggests. It’s the development of bikes for races like Paris-Roubaix that has benefited customers seeking more comfortable versions of the race bikes, with the likes of the Synapse, Roubaix and Domane being developed and honed for this race. Fortunately, that suitability for the cobbles makes the bikes well suited to riding on regular British roads, which increasingly resembles pave round my way. What you really notice about the equipment is that the race is all about tyre choice. Tyres are king at this race. Wider tyres allow you to run lower pressures with less risk of getting a flat. Try running a small volume 23mm tyre at these pressures on these roads and you won’t get far. With a larger chamber of air between you and the road, a wider tyre allows you to drop the pressure without running the risk of a pinch flat (where the inner tube gets punctured as a result of being sandwiched between the wheel rim and the ground). The lower pressure increases the amount of cushioning you get from the road, improving your comfort. Beside tyre choice, the other really important decision is tyre pressure. But tyre pressure is the most well-guarded secret in the pro peloton. Most team mechanics are very reluctant to divulge such important information. We can guess, thanks to some tidbits of info gleaned from more willing team mechanics and using a zoom camera lens when a mechanic is inflating a tyre before the race, that 70-80 psi is a common range. Personal preference will play a big part in the actual tyre pressure. Bigger and heavier riders will want more air pressure to lower the risk of a puncture, and some riders will just want to play it safe and be willing to compromise comfort for speed on the road sections between the cobbled sectors. Some like to feel every bump and cobblestone through their hands and will go quite high. Most of the teams do a lot of testing on the pavé before the race and you can bet they’re obsessing mostly about tyre pressure. Ride style is also an important factor, the top riders is smoother and better at picking a smooth line on the cobbles than less experienced riders, who might thump into every single cobble. A detailed knowledge of each sector and ideal line choice also helps too. Those professionals are a hardy bunch, but there’s one area where they often make a concession to comfort: double-wrapped bar tape. It makes a small but noticeable difference and it’s easy to do. Some riders have a definite preference for double wrap bar tape. Some mechanics have been seen adding strips of foam under the bar tape. Bontrager will sell you a carbon handlebar with special inserts for foam pads to provide more cushioning than a regular setup. It's a good way of getting some extra comfort without a big financial outlay or radical change to bike setup. There have been several attempts to introduce suspension to road bikes over the years for this one race. There's the Pinarello K8-S with its soft tail rear suspension design, with a small damper unit located at the top of the seatstays. The latest version has an electronically adjustable damper, so it can be locked out on the road and is only activated on the cobbled sectors. Trek developed its IsoSpeed decoupler, a system that allows the saddle to deflect under impacts. Last year it added it to the front of the bike, with the fork steerer tube allowed to bend a small amount to deliver even more smoothness. Specialized revamped its Roubaix bike with a spring positioned between the frame and stem, dubbed the Future Shock. It delivers 20mm of movement and is intended to isolate the handlebars from the biggest impacts. Deeply cushioned saddles are a common sight, and this specially modified Fizik Arione saddle, or a time trial model, is a common sight. Grippy saddles are often spotted, either designed that way such as Prologo’s CPC technology with areas of grippy material added, or rather homemade with grip tape added to the top of the saddle. You’d think following the course when it’s closed roads and signposted would be easy for the racers. These instructions aren’t for navigation, they're to let the rider know at what distance a cobbled sector is feed zone is coming up, and with 29 cobbled sectors there’s a lot to remember. There might also be tactical reminders as well if a team has a plan to attack at a certain part of the race. Paris-Roubaix is a good race to attend if you like collection pro race bottles. Bottles litter the course of Paris-Roubaix, either discarded by a rider but more often ejected from the bottle cage. That’s why you’ll see team mechanics adding a skateboard-style grip tape to the cages to ensure the bottles stay firmly in place. The advent of electronic groupsets has brought numerous advantages, and one that we see played out at Paris-Roubaix is the use of extra shifter buttons attached to the centre of the bars. This allows a rider to change gear while riding in the favoured position on the tops and save having to change hand position to change gear, which is fraught with risk when the bike is bouncing around violently. There’s no climbing on the course to speak off, so the speeds are high and a regular double chainset is the preferred option, but with a little tweak: the 39t inner chainring is often substituted for a 44t chainring. Dropping down to a 39t chainring would be too big a gap, so most riders opt for a bigger inner chainring to reduce the drop. It keeps the gearing closer so the rider can use the inner chainring without dropping down the gear range too much. You might think the racers never drop out of the big ring but watch the race and you’ll be surprised, especially those hanging off the back of the peloton. Where 11-28t cassettes are nearly commonplace for regular road race stages, closer ratio 11-25t cassettes get an airing for this race. Electronic groupsets reign supreme in the professional peloton, but we regularly see more mechanical groupsets popping up at Paris-Roubaix. Fabian Cancellara personally preferred mechanical all the time, and Peter Sagan has followed suit and opted for mechanical last year, and at Flanders last weekend. When we asked his team mechanic we were told that it’s simply a personal preference, but we can’t think of any reason why an electronic groupset could be a hindrance on the pavé. This small bits of metal first started showing up on bikes at Paris-Roubaix a few years ago, and they’re commonly left on bikes during the rest of the season. Their task is simply to try and prevent the chain dropping off the chainring and getting jammed in between the crankset and frame, but as we saw with Tom Boonen at Flanders a couple of years ago, they’re not always that effective. Still, probably better to have one than not have one. Not as common as they used to be, especially since the days when cyclocross bikes were rolled out for this race (yes, really) but additional brake levers on the handlebars are favoured by some. Must be a right pain for the mechanics to install but the benefit is that you can feather the brakes when riding on the tops, which is generally the preferred position for tackling the pavé sectors and saves having to change hand position when you need to make a speed correction. These brake levers have a grip tape added for extra purchase. Go back 10 years and you’d see carbon wheels left in the team truck in favour of classic aluminium box-section tubular rims. This was simply because the pavé is so brutal on wheels and traditional aluminium rims had long proved to be up to the task, while early carbon wheels were simply not strong enough to survive. The Ambrosio Nemesis was a very popular choice, often the most common sight at the race before carbon fibre took over. That happened after Fabian Cancellara won the race aboard Zipp’s latest 303 carbon rim in 2010. 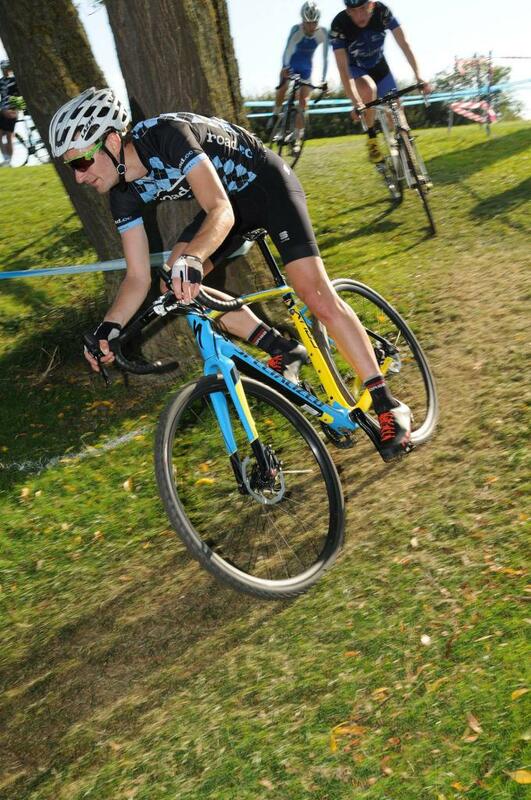 More race victories swiftly followed and now every team uses carbon wheels. Zipp had changed the game and confined aluminium wheels to the history books. Now the entire peloton races carbon wheels. There are good reasons for wanting to ride a deep section carbon rim - there’s some 200km of racing on roads so the aerodynamic benefit at the speed the peloton rides at is significant. One change you often spot is the preference for a shallower rim compared to the very deep section wheels common on a regular road race stage. See a rider preparing for the race, or pulling his mitts off at the finish, and you’ll often spot tape wrapped around the fingers. It’s an old trick and is intended to prevent blistering. This is the race that a lot of people expect to see be the tipping point for disc brake acceptance, but so far that just hasn't been the case. The race has been run in very dry conditions for many years, which could be partly the reasons; if it was wet and muddy we might see more disc brakes, though that wasn't the case in Strada Bianche last month. How many teams roll out on disc brakes we just don't know until the morning of the race. There's a rumous that the whole Cannondale squad will be on disc brakes so we'll be keeping an eye on them. And given the Specailized Roubaix is only available with disc brakes, will the Quick-Step and Bora-Hansgrohe riders should all be on disc brakes. Those are our tech tips for the hardest and most brutal race on the pro cycling calendar. If you've got any do let us know in the comments section below, or if you've taken any of these tips and applied them to your own bike and riding, let's hear about it. Rebadged article from last year? Re: disc brakes, remind me what the advantage is over a good rim brake for a largely flat, one day race*? Perhaps they've just weighed up the pros and cons and decided to stick with rim brakes. *disclaimer - I've never ridden wet carbon rims, so can't comment on how poor the braking might be, but my aluminium rims with Swisstop BXP pads are pretty good, and maybe the pros don't really demand 'emergency braking at a wet T-junction' sort of power. It's really frustrating when they do this, without (a) acknowleding it and (b) making it clear what changes have been made. It means you don't know what is right/ wrong. So, for example, when it says that Sagan opted for mechanical groupset "last weekend", is that referring to 2017 or 2018? Can confirm that some wet carbon rims are terrifying and most of the slamming on the brakes at the Roubaix is to avoid crashes infront of you.